1. For future reference, you may wish to buy some fabrics at a later date. 2. You can share your wishlist publicly for others to purchase the products for you. 3. 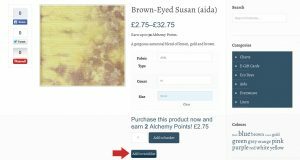 Creating a wishlist will allow you to receive email notifications as and when products that are put on your wishlist get reduced or go on special offer. You can start building a wishlist by simply browsing to a Chromatic Alchemy product you would like to add to your wishlist and clicking ‘add to wishlist’. You can either create and name a brand new list at this point or add to an existing one. You may want organise these lists by type i.e. ‘Birthday Ideas” or “My public wishlist”. 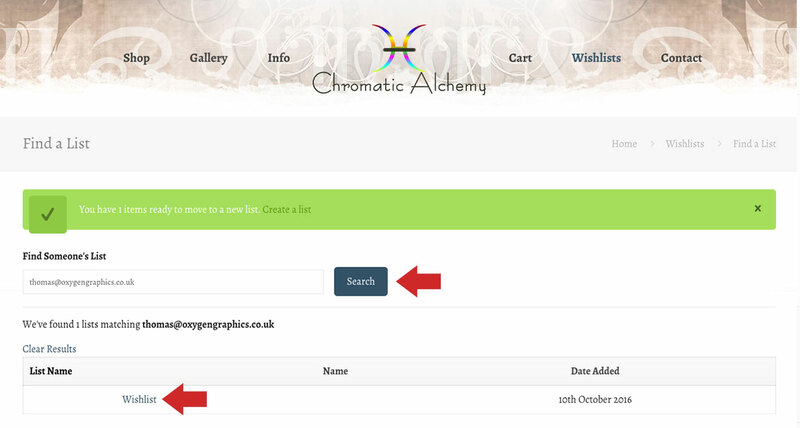 You can view and amend any lists you create by clicking here. 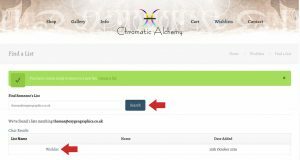 Here you can rename your lists, make them public for others to find or amend the contents of the lists. You can search for public wishlists by clicking here. Search by the persons name (they will have set this at the point of creating their wishlist) or search by their email address. Once you have found a public wishlist, you can click into it to see what is in there. Add the desired product to your basket and check out with it to purchase it for the persons wishlist. 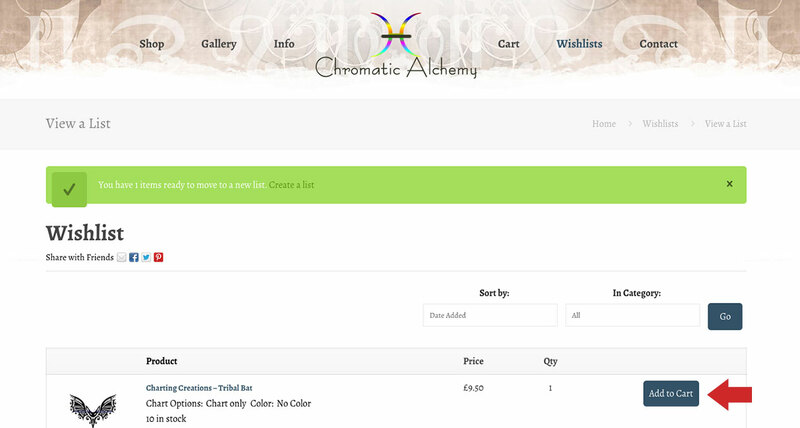 note: Please make sure you specify who you are purchasing the gift for within the ‘order notes’ section of checkout.